Children who suffer from chronic conditions may find pain relief with acupuncture, according to a new study in the journal Medical Acupuncture. Many medical conditions can cause chronic pain, including cerebral palsy, spinal cord injuries, and musculoskeletal conditions. Prescription painkillers are one method to manage the pain, however, it comes with risks of dependency and addiction. Previous research has shown positive results for using acupuncture in adults to treat traumatic brain injury (TBI) headaches, fibromyalgia, and other conditions. So researchers from Gillette Children’s Specialty Healthcare in St. Paul, Minnesota, set out to find if children can reap the benefits as well. “These kids have a complex array of distressing symptoms that decrease their quality of life. For some of them, acupuncture may be a valuable tool to add to their treatment,” lead author Scott Schwantes, MD, a pediatrician at Gillette, said in a news release. 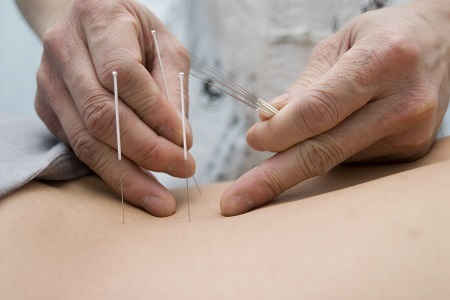 The analysis included nine patients receiving acupuncture were treated for various conditions between June 2014 and June 2015. The strategically placed needles typically lasted 30 minutes. The patients received treatments such as energetic work, biomechanical treatment (surface release technique, percutaneous electrical nerve stimulation), and/or ear stimulation. “This study shows that acupuncture can be a safe, well-tolerated, and effective therapy for children and young adults with pediatric-onset disabilities,” Schwantes continued. Some of the patients in the study experienced a decrease in pain and others had complete relief. “The proof is with the patients. They’re the ones who are successfully recovering from pain,” Schwantes concluded.